The Grade1 deadbolts from BiLock uses a hybrid mortise solution to offer more drill and force protection compared with the standard BiLock deadbolt. 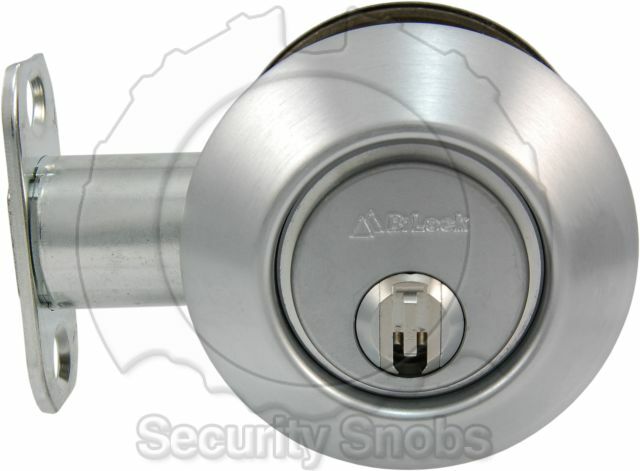 The BiLock Double Cylinder Grade1 Deadbolt also features no exposed screws. The lock can only be taken apart from the side of the door, when the door is locked the screws are not accessible. 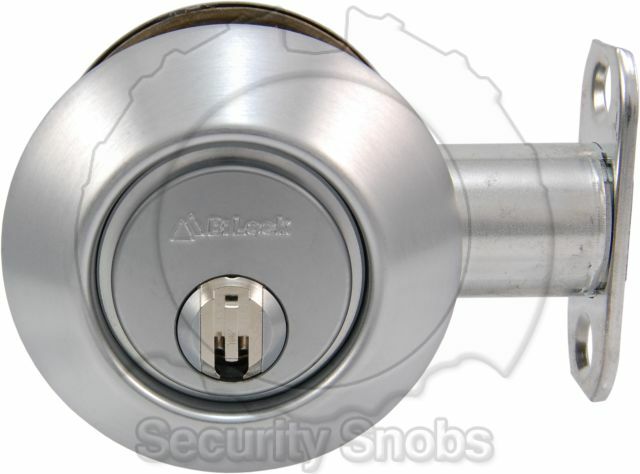 BiLock Grade 1 Double Cylinder deadbolts fit doors between 1 3/4" and 3 1/2" thick and can be installed using your existing deadbolt holes. To install, begin by checking the two threaded allen screws that screw into the outside of the mortise housing. 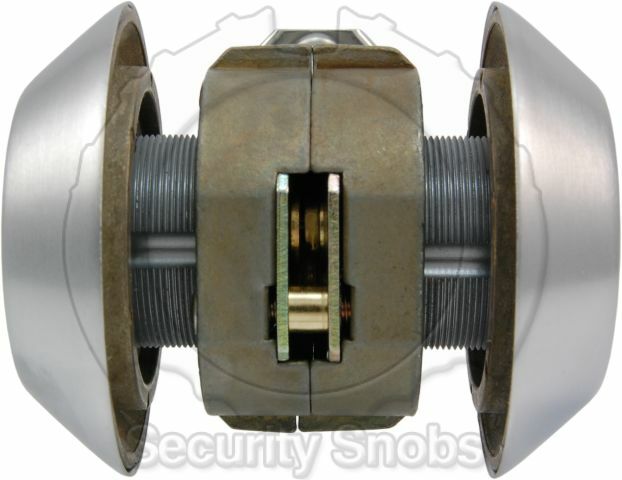 They should sit flush with the outside edge (if they are out too far the bolt cannot sit tight against the housing, too far in and the mortise cylinder cannot be screwed in or the threads can be damaged). Next insert the mortise housing into the hole in your door with the black allen screws pointed towards the edge of the door where the bolt will exit. The wide slots on the t-shaped hole should be pointed towards the bottom. The bolt can then be inserted into the edge of the door and through the t-shaped hole in the housing. The two screws that hold the bolt and the housing together can be screwed in. The two mortise cylinders can then be pushed through their spin collars and screwed into each side of housing. 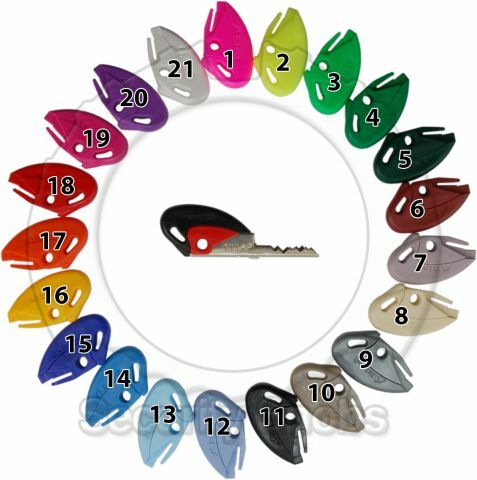 Depending on your door thickness you may need to use the wave washers or spacers that are included with the lock. Be careful not to cross thread or overtighten the mortise cylinders. Each cylinder should be tightened so that the bolt sits straight in the middle of the door, it should not be pulled towards either side. Once each cylinder is in the proper position, the two allen screws can be tightened by inserting the included allen wrench along the bolt from the edge of the door. Do not overtighten and be extremely careful not to strip out the allen screws. Functionality should be tested at this point. Once everything is functioning smoothly, the bolt cover plate can be installed on the edge of the door and the strike plate can be installed on the jam in the proper location. 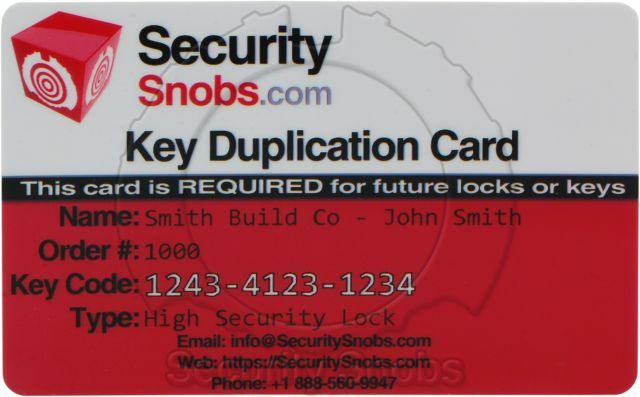 Full instructions and a drill guide are included with each lock. 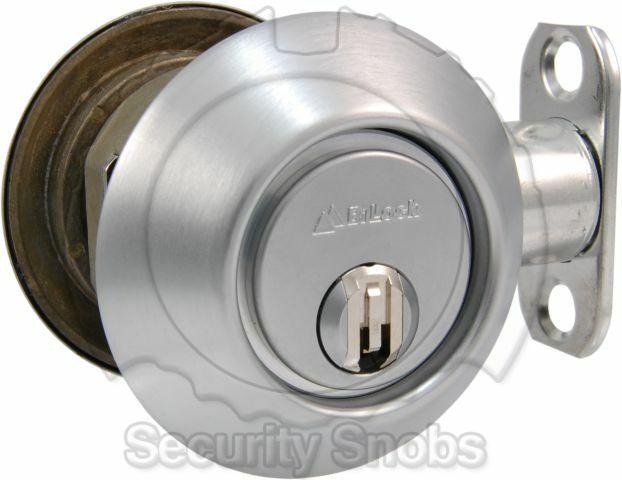 For more details please see the BiLock Grade1 Double Deadbolt Install Instructions. 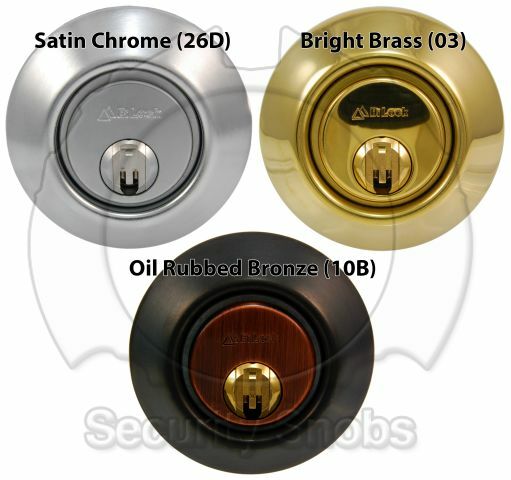 BiLock Grade 1 Double Cylinder Deadbolt was successfuly added to your shopping cart. You can browse for more products or proceed to checkout.